Arthur was diagnosed with Acute Myeloid Leukaemia (AML) when he was just 16 months old. 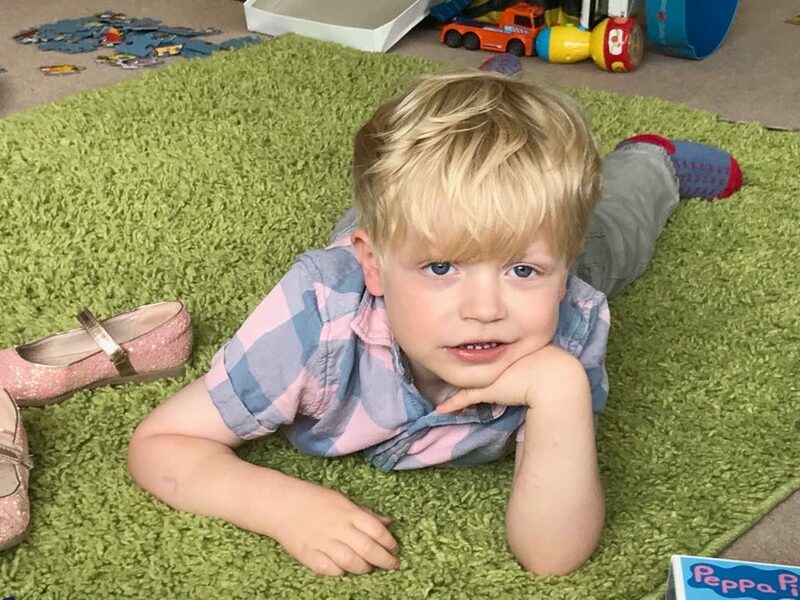 His mum, Katie, who is also a Friends of Rosie Parent Trustee, shares his story. “It’s hard to think how poorly he was when we were admitted into Ward 84 at the Royal Manchester Children’s Hospital – he has come on leaps and bounds since then! He couldn’t walk or talk when he was diagnosed and the Acute Myeloid Leukemia (AML) had made him very tired but also restless. He was covered in bruises and various rashes and cried for so much of the day due to pain. “At the start of treatment he needed morphine through the day and night and was often awake throughout the night with fevers and night sweats. Thankfully, each round of chemo was slightly easier and we knew what to expect and Arthur started to settle into his new second ‘home’ and to trust the medical staff. “Arthur learnt to walk on the corridors of Ward 84 and said his first few words there too.